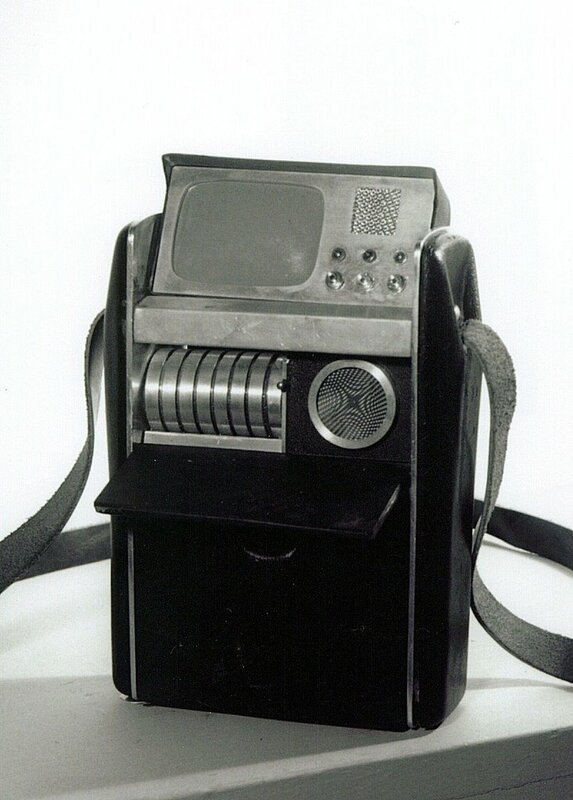 Presented below are some rare photos of a Hero Tricorder from The Original Series, which was one of a pair of pieces built by Wah Ming Chang for the show in June of 1966 (prior to the start of the 1st Season) and was especially created with enhanced design details and careful craftsmanship so that it was appropriate for high resolution close-up photography. 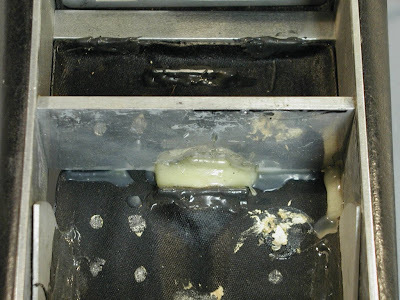 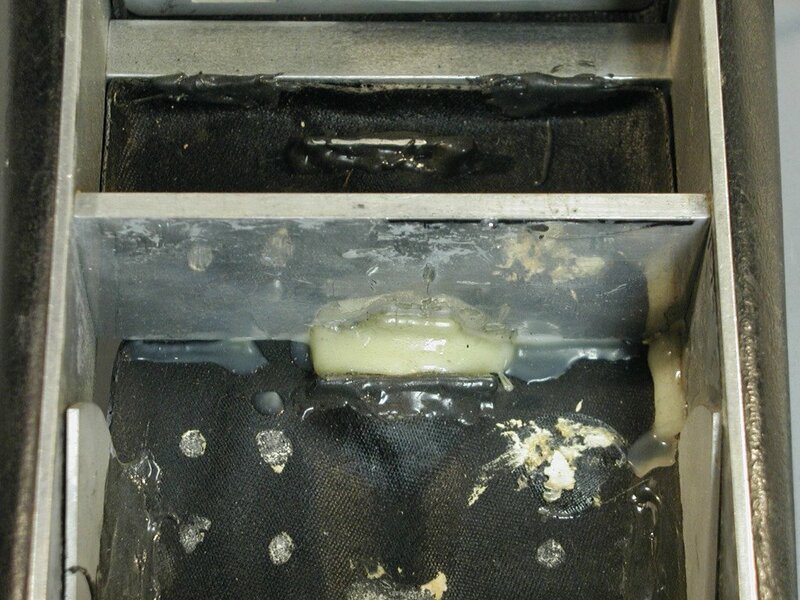 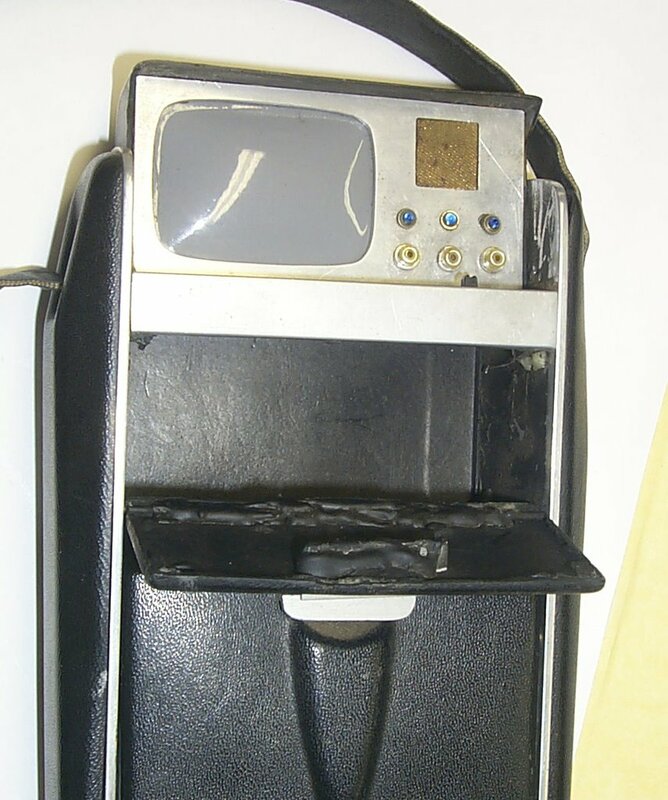 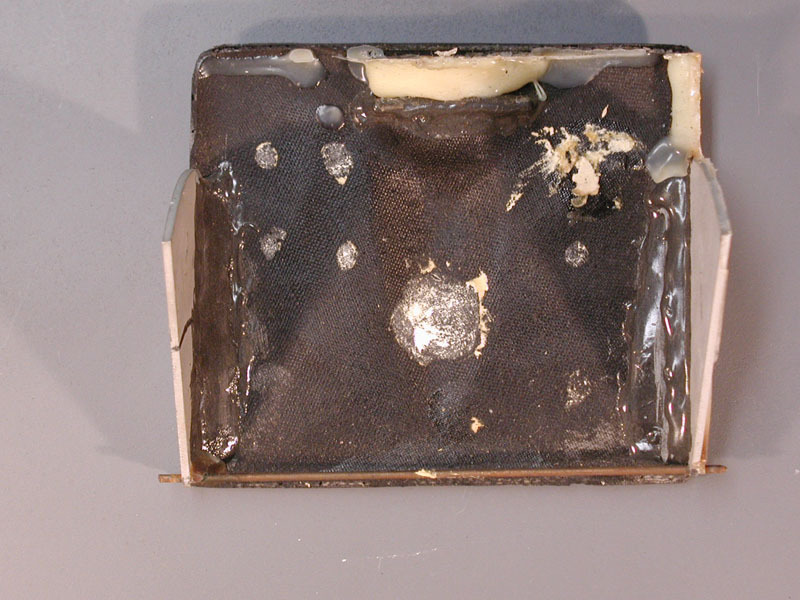 The other midgrade and stunt Tricorder hand props used in TOS were built at lower cost by the internal Desilu prop shop and were often less elaborately constructed; frequently exhibiting visible external glue stains and untidy details (poor fit and finish) as they would only be seen as background pieces at a distance on film. 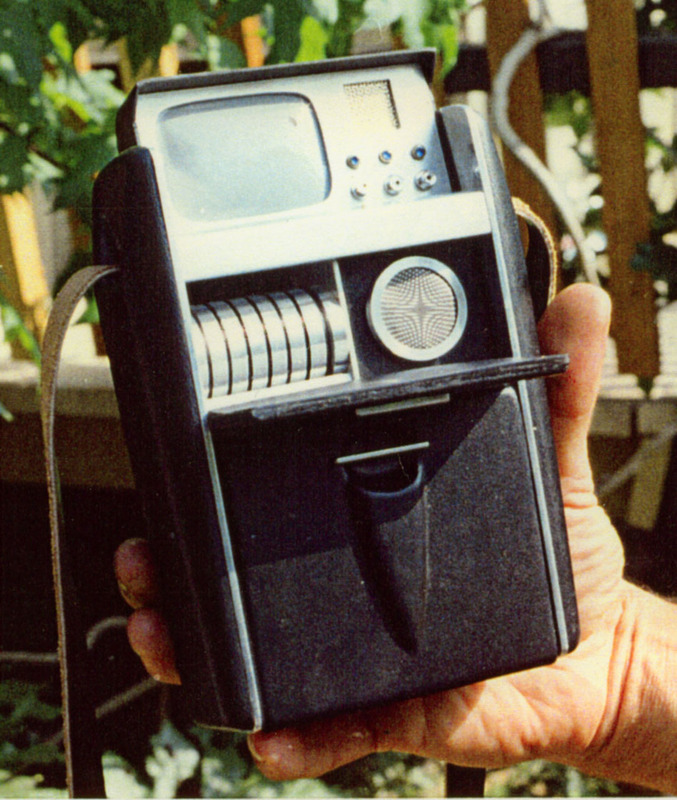 This Hero Tricorder is part of the collection of the renowned Star Trek TOS expert Greg Jein. Mr. Jein, a celebrated model maker, is also the creator of the 4 foot filming miniature of the Enterprise-D built at the start of the 3rd season of Star Trek: TNG. Wah Chang, the creator of this "hero" TOS prop, was the designer of the TOS Communicator, the TOS tricorder, the Gorn and the M-113 Salt Vampire costumes during his extensive association with the series. 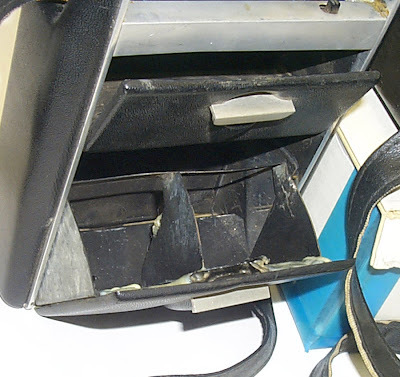 Over the 43 years since this prop was created, it has become permanently separated from its data disc and moire display which used to be housed behind its small top drawer. 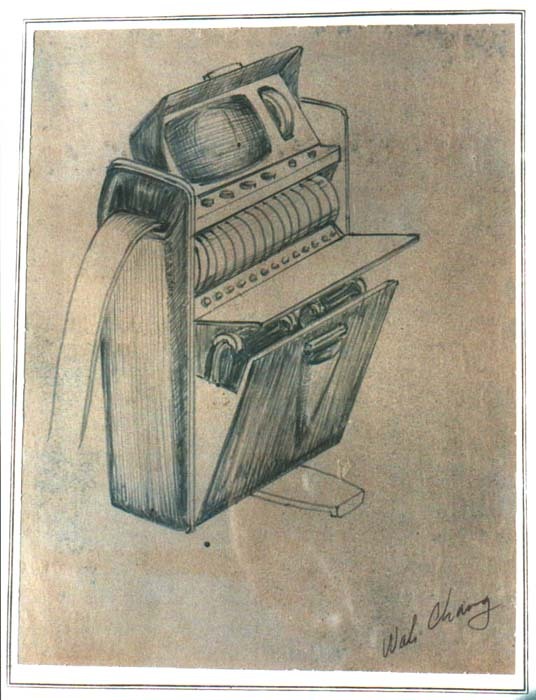 The top compartment is now empty. As documented in some episode screenshots below; there is some evidence that these components were removed during filming of the series. 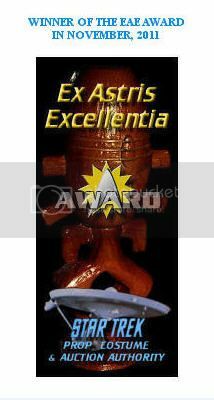 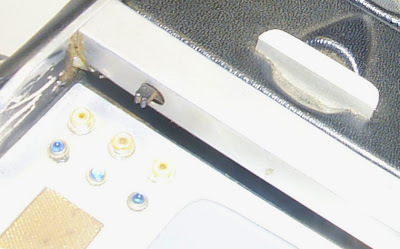 It is also noted that the shoulder strap (now stitched and finished on both sides), and the door pulls (now right angle instead of straight) differ from the style as initially constructed and evident in the early Wah Chang home photos and The Making of Star Trek photo presented below; where the strap lacks stitches and is finished on one side only and the door pulls are straight. 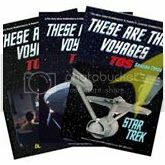 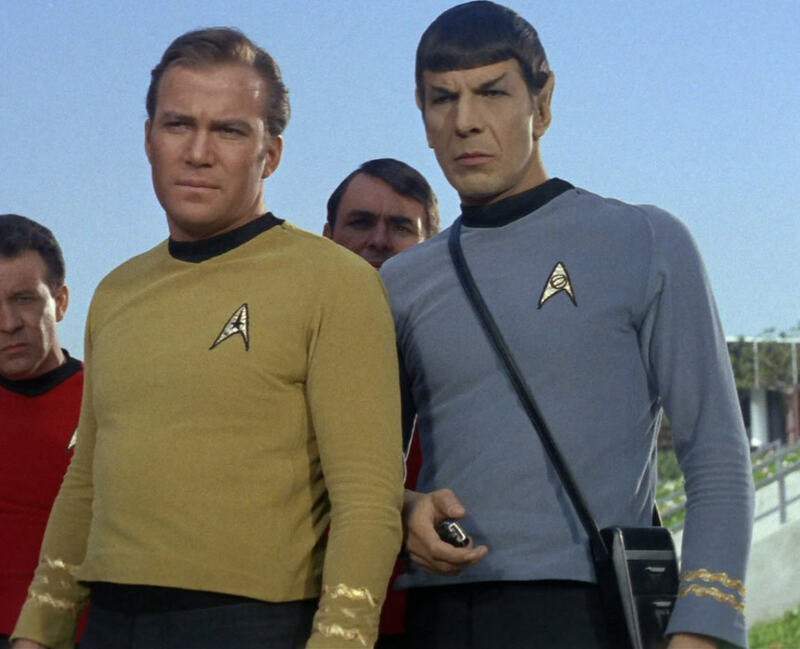 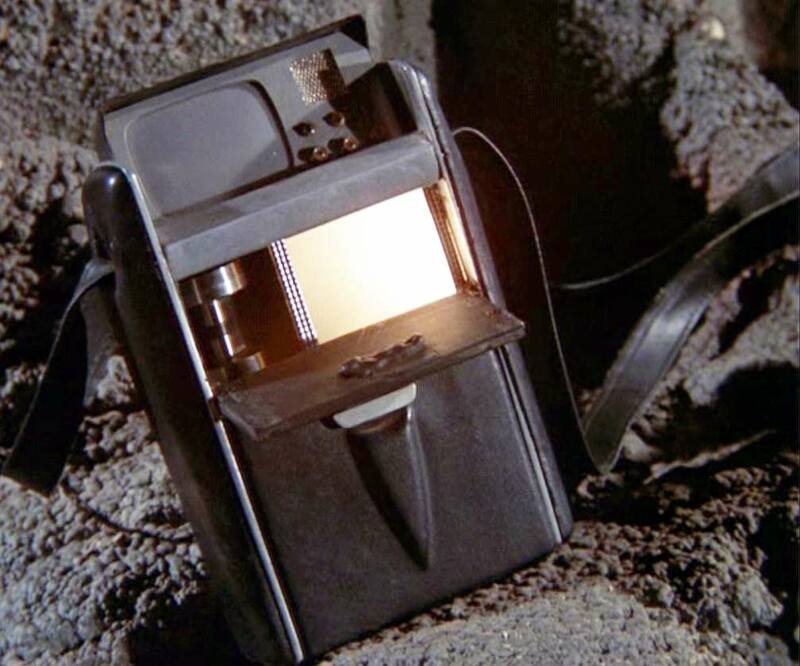 It will also be shown below how the enhanced shoulder straps and door pulls were introduced to the hero props during the production of TOS by presenting episode screenshots where the new features are visible. 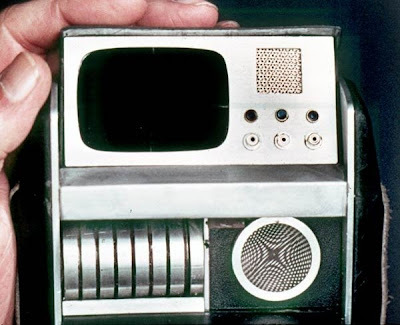 Evidently, it seems that the two Wah Chang "hero" tricorders were frequently disassembled while on the Desilu soundstages and re-constructed with new parts to enhance their appearance. 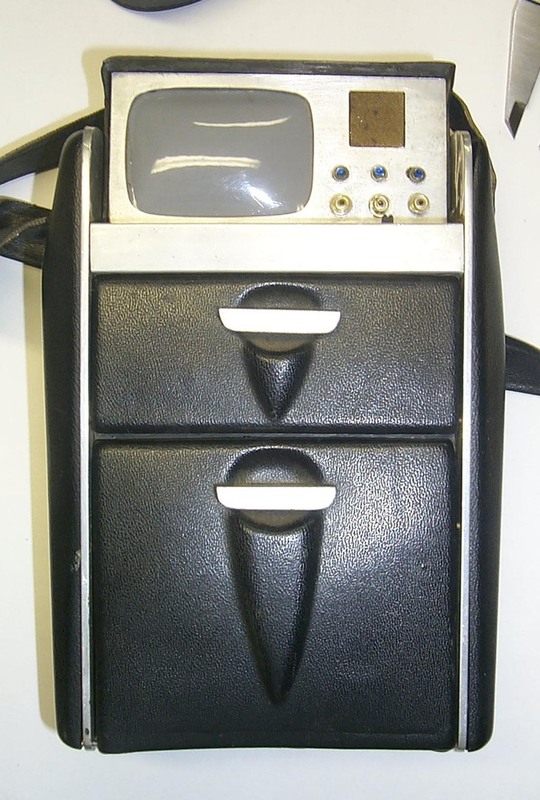 Note the unique design of the indicator lights on this hero prop. 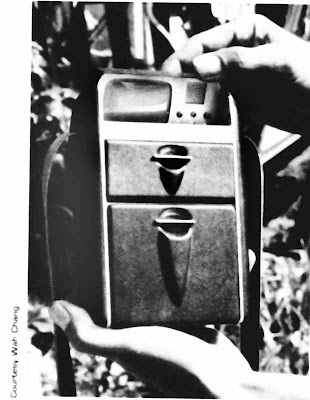 Wah Chang used wrist watch crowns with blue jewels for this effect. Also visible is a black button or switch mounted on the metal crossbar - a design characteristic believed to exist only on this Tricorder. It has been speculated that the button was added to control some "working mechanism" which was supposed to be built into the prop but never completed; similar to the rotating moire which was stopwatch driven and implemented on the hero communicators. 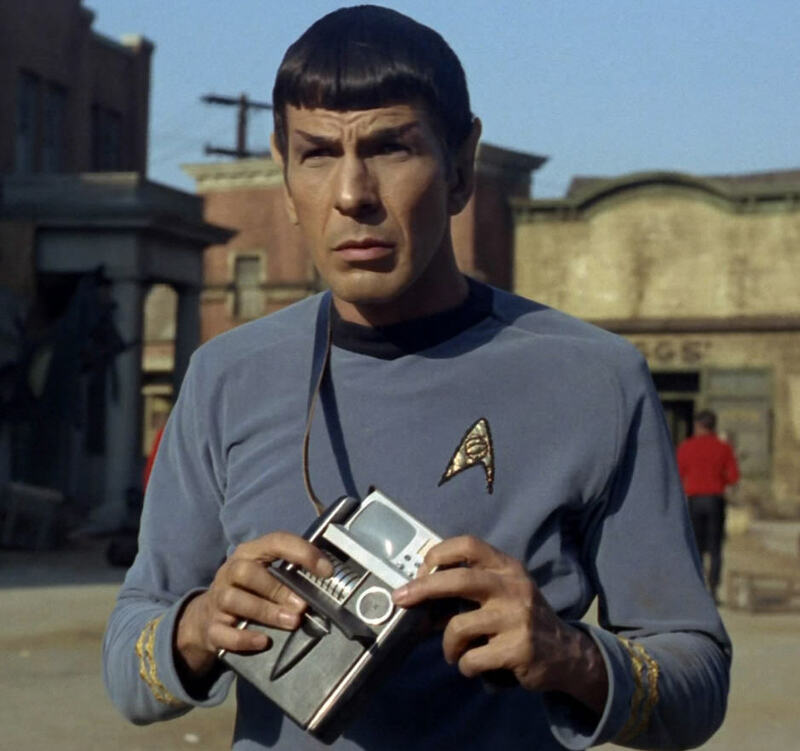 It has also been reported that the button was requested by Leonard Nimoy to facilitate his portrayal of Spock performing a tricorder scan with the prop - by providing a tangible finger control to initiate the scan. 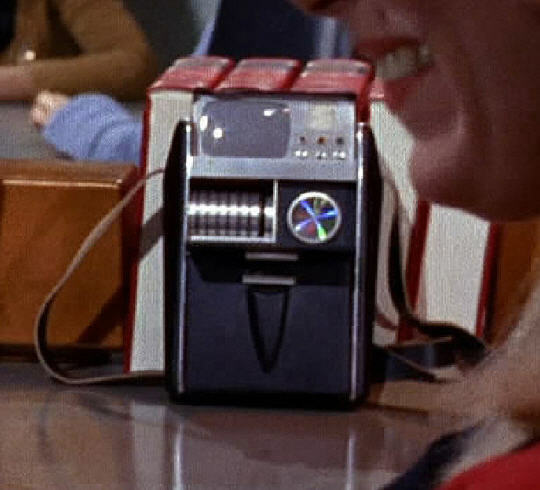 Some screenshot closeups of a Wah Chang Tricorder - the first photo as seen in the Season One episode "The City on the Edge of Forever". 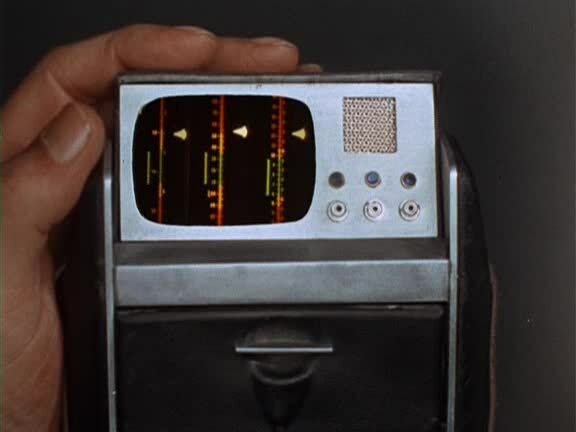 It is believed that this faceplate is the one present on the Greg Jein Tricorder, as all three indicator lights are blue. (As seen in the 2nd last photo of this post, the faceplate of the other hero Tricorder featured a red center jewel.) It is noted that the appearance of the gold mesh square grid on the faceplate above the indicator lights is different in the episode screenshot versus the modern day photos of the Jein Tricorder. 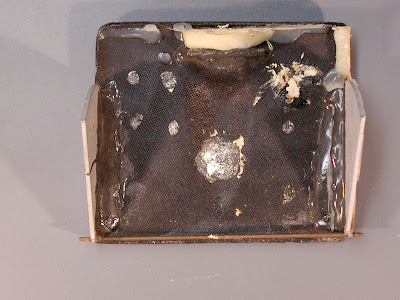 No doubt this component was also modified or replaced at some point in its history - possibly as a repair operation. In this closeup screenshot from the 3rd Season episode "That Which Survives", the data discs and moire display have clearly been removed from the prop; which features a unique top drawer internal design that is not seen again on-screen. 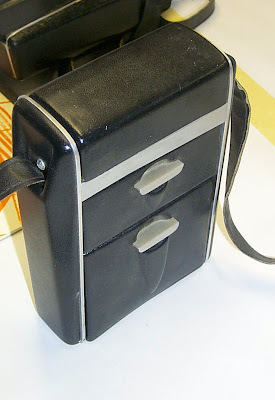 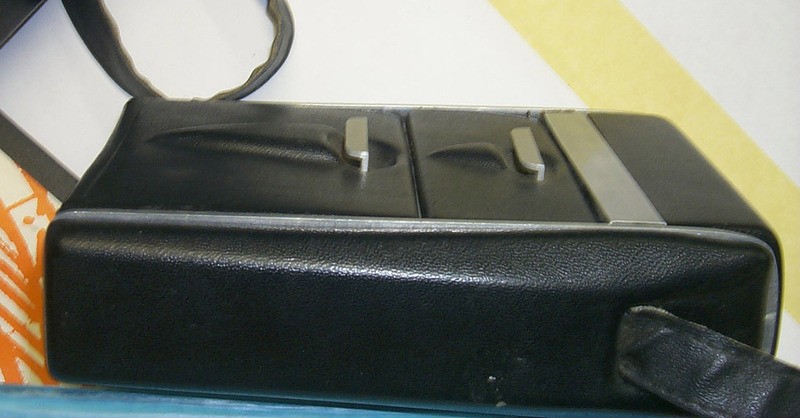 The lack of the disks and moire; the presence of a stitched, finished shoulder strap; and the presence of right angled door pulls with a similar top drawer pull internal fastening design on this hero piece that closely matches the features present on the Greg Jein hero - might suggest that both Wah Chang hero tricorders were modified similarly. The tricorder main body in the screenshot below does not possess a black button on the metal crossbar, differentiating it from the tricorder in the Jein collection. 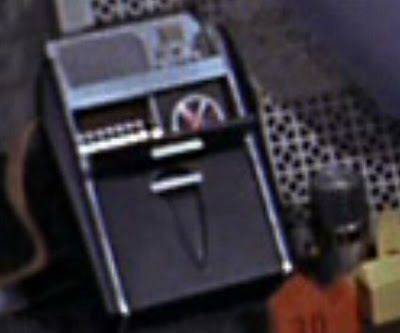 The following two photos show Hero Tricorders in the early and mid-1st season episodes "Charlie X" and "Balance Of Terror". 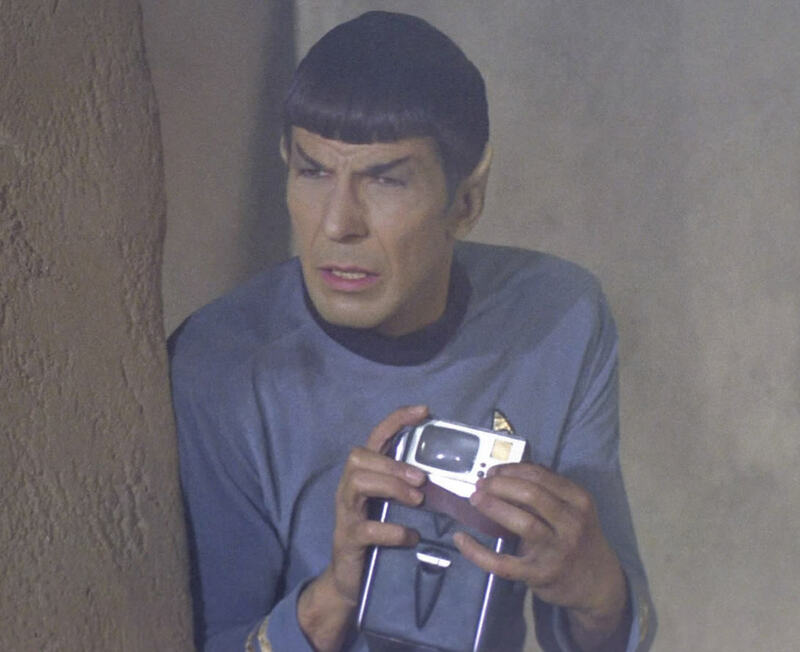 Note how the moire pattern (almost holographic in appearance with a multicolor effect) differs from the other Wah Chang moire seen in the City On The Edge of Forever screenshot and The Making of Star Trek photo. Clearly Wah used different patterns on his 2 different heroes. Interestingly, the multicolor moire (seen in both of the photos below) is part of a Tricorder with a red center jewel faceplate in "Charlie X" and has been moved to the Tricorder with three blue jewels (the modern day Greg Jein Tricorder faceplate) in "Balance Of Terror". 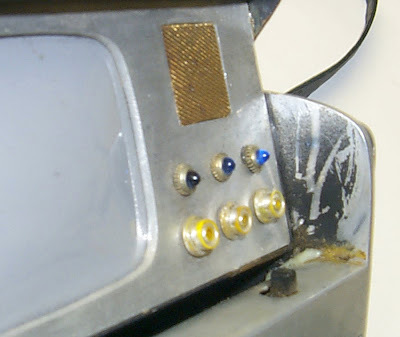 Clearly, the prop technicians on the Desilu soundstage did not attempt to keep the jewelled faceplates of the Hero Tricorders paired with their original disc and moire counterparts when the pieces were taken apart and later reassembled - before the data discs and moire sections were totally removed from the finished props.